Local homeowners can rest easy knowing that our qualified experts are only a phone call away for professional garage door repairs! Scroll down to learn about our most recent projects in Minnetonka and the local area! Our Solution: Some type of car accident had severely dented several of this customer's aluminum door panels. We removed them and installed new ones of a matching design in their place. Our Solution: After carefully inspecting this customer's system, we discovered that the safety sensors weren't positioned correctly. We realigned them and then made sure the door was done misbehaving and that the sensors were still able to detect an obstacle properly. 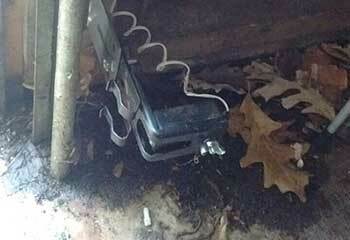 Customer Issue: The garage door didn’t move, although the opener was working. 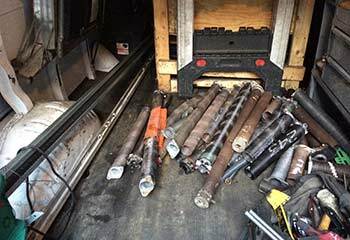 Our Solution: We replaced the broken torsion spring and checked the lift cables for fraying and minor cuts, confirming they were intact. 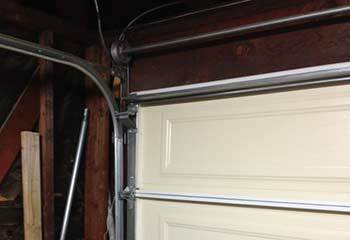 Customer Issue: Julia reported her garage door was opening by itself after she’d left for work. 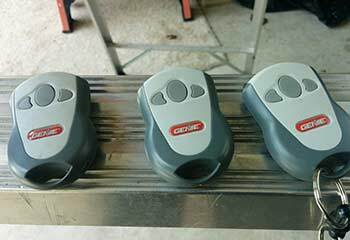 Our Solution: We knew the problem was with her Genie G1T-BX remote control and confirmed it had a short. We replaced it and programmed the new clicker for her. 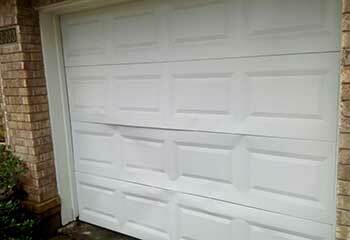 Customer Issue: Ariel called us after a minor collision accident which had left her garage door stuck. Our Solution: Our check showed no serious damage, so we adjusted the door back it in its place. How Safe Are the Safety Features? We have only the most highly skilled and qualified technicians around! We use the best products and brands because our clients deserve only the best! We pride ourselves on being efficient and quick to respond to ever call. Keeping you and your door system safe during and after service is our priority. When your garage door is broken, we’re the company you can trust to thoroughly troubleshoot and fix it. Whether you’re dealing with a non-responsive garage opener, a jammed door, or you need a maintenance service, our technicians are ready to help. Thank you for choosing our company! Feel free to browse our website for more information in the meantime. Our team at Garage Door Repair Minnetonka is at your service any time!